Valley Implement is a premier supplier of all types of Fleetguard filters for Cummins and all other makes of heavy duty engines Our strategic buying power allows you to purchase Fleetguard filters with confidence at deep discounts from the factory. Our case pricing quantity allows you to stock up and save for the season. We are an exclusive Fleetguard dealer and do not represent any other brands. Ask any of our qualified staff why the Fleetguard brand offers your equipment the filtration and protection that your machinery deserves. Contact us today for us to provide you with a competitive quote of the best filters on the market. 1. If you don't know your filter part number use Cummin's Filter Lookup Tool to find the Fleet Guard filter you need. 2. 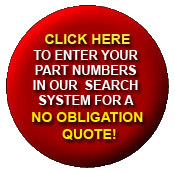 You can find the part you need for your Case, New Holland or John Deere machinery at Cummins Filtration Part Finder. 3. If you are using Donaldson filters, Wix filters or Baldwin filters use Cummins' Fleetguard Filters Cross Reference Tool to find the right Fleetguard filter. Once you have located the part number please make your order on our Secure Case IH Shopping Cart Website. We will ship your filters right to your door! NOTE: We can only ship filters to addresses within the United States. Take confidence in our best pricing quote on the internet. As our commitment to you our best pricing is reflected on this site. We do not offer large volume discounts. Best pricing for all is our motto. Looking for less than Case lot quantity? Simply put a J behind your filter number for single quantity availability and pricing. Then type your filter part number into the search box at the top right side of the page. You may also contact Cummins Care at 1-800-DIESELS™ (1-800-223-4583). If you are located outside of North America, call 1-812-377-3000. We carry tractor filters, John Deere Filters, Case filters, fuel filters, cabin air filters, and oil filters.